We’d love your help. 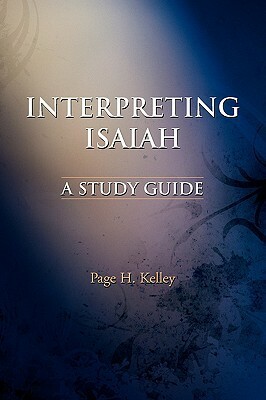 Let us know what’s wrong with this preview of Interpreting Isaiah by Page H. Kelley. These studies are designed to assist pastors and laypersons in their understanding of the book's message of judgment and redemption. Dr. Kelley's work will be helpful to anyone wishing to hear God's contemporary word for today through the words of the anthology of prophetic oracles known as the Book of Isaiah. To ask other readers questions about Interpreting Isaiah, please sign up.